On behalf of Venertainment for FOX’s “Showtime at the Apollo,” I am pre-booking talent to audition on Saturday, April 29th. PRE-BOOK your Audition for Apollo. 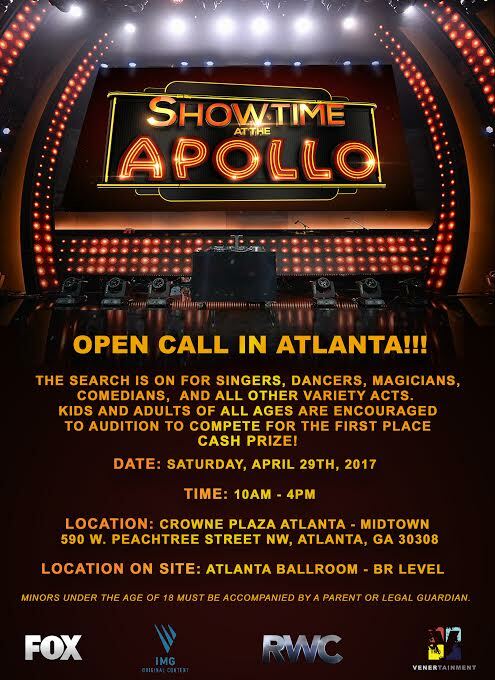 Did you grow up watching “Showtime at the Apollo,” wishing that you could showcase your talent to the world? Now Casting the ALL NEW “Showtime at the Apollo,” submit to prebook your audition NOW! Talent will receive more details about the audition after email submission.